Pest description and damage Psylla (or jumping plant lice) are soft-bodied, sucking insects which can produce copious honeydew, or form pseudo-galls. Adult psyllids look like a cross between an aphid and a cicada, about 0.1 inch long and an ability to jump and fly away. Their wings are held roof-like over their body. Adult female psylla attach eggs to the host plant by a small "handlebar". Immature psyllids are oval, flat and scale-like, with conspicuous wing buds, and sometimes with a waxy fringe and/or red eyes. They often live in colonies of mixed life stages. They are most closely related to aphids and scale. There are two groups of psyllids: free-living psyllids and lerps (specialized psylla that live under structures of crystallized honeydew). Free-living and lerp psylla are fairly host specific, and attack only one host from which they get their common name: e.g. boxwood psylla, laurel psylla, hawthorn psylla, and pear psylla are the most common in landscapes. Eucalyptus is host to many species of psyllid. Biology and Life History Life cycles vary with the species. They have incomplete metamorphosis consisting of eggs, nymphs and adults all feeding together. Females can lay between 45 and 700 eggs depending on the species. The nymphs molt five times before becoming an adult. At each molt, the wing buds become more visible. Damage varies with the species. 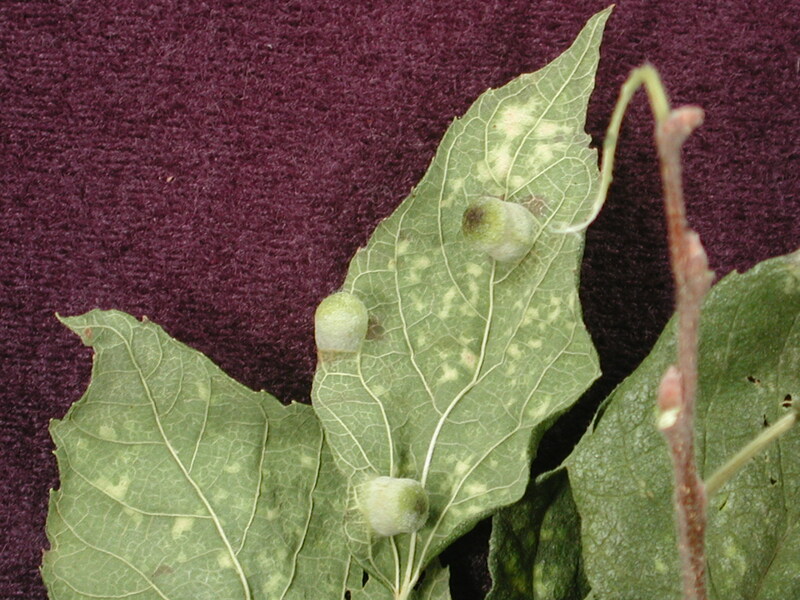 Some species cause pseudo-galls, leaf distortion, leaf color change from red to brown, and abundant honeydew on which sooty mold can grow and defoliation, while others (lerps) live under a covering of crystalized honeydew for protection. There can be one or many generations per year. Psylla populations may be high in one year and nearly non-existent the next. Pest monitoring Adult psylla and lerps and their natural enemies are attracted to yellow sticky cards. 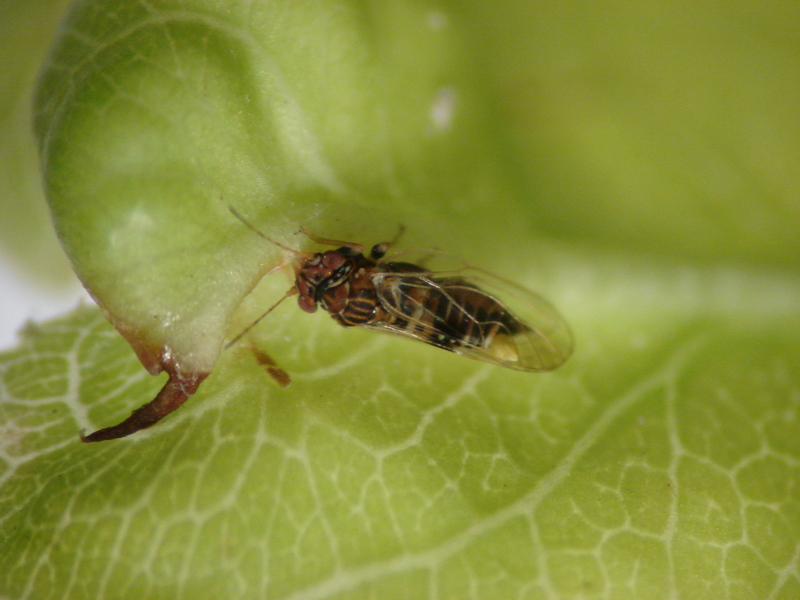 The proportion of pest psyllids to beneficial insects may govern whether pesticides are applied. 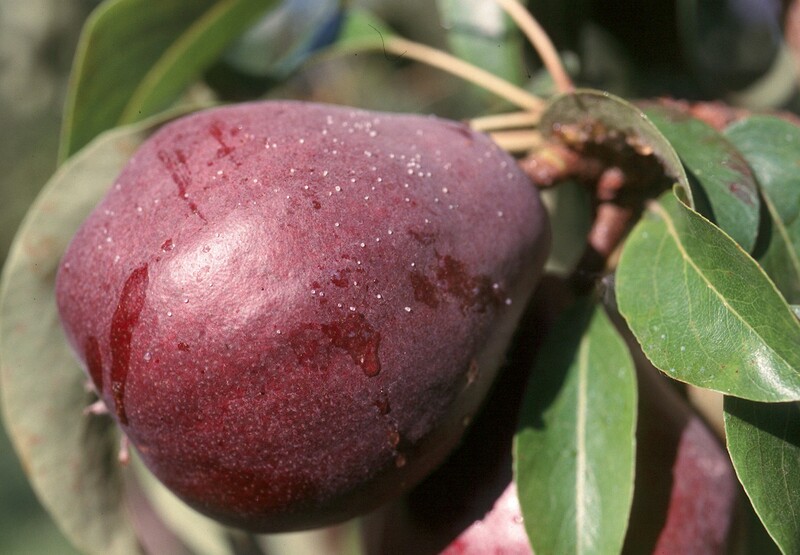 Branches may also be struck and jarred to dislodge psyllids onto a beating sheet. Also, look for the presence of honeydew or a sugary material. Psyllids and lerps favor new succulent plant growth. Avoid excess watering, fertilizing or shearing as these practices promote new growth. Avoid using plants known to have serious psylla problems. There are many natural enemies of psyllids and lerps including minute pirate bugs and other predaceous bugs, green and brown lacewings, ladybeetle adults and larvae, and parasitic wasps. Since these can be very effective controls, it is important that any pesticides that are applied are less toxic to beneficials.